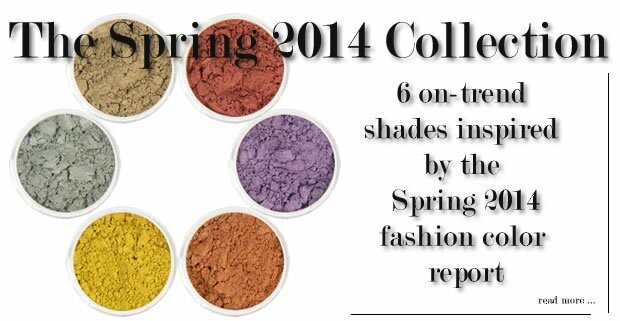 Six on-trend shades inspired by the Spring 2014 fashion color report. Paloma is a mid-tone neutral grey that pairs well with the vibrant purple Radiant Orchid. Freesia Gold and Celosia Orange remind us of a tropical sunrise while the multi-purpose Cayenne adds spice and heat to eyes as well as cheeks. All shades are perfectly complimented by Sandy, a wonderful skin-toned neutral. The shades in this collection are available individually or as an entire collection... at a great price!